"Suede upper with leather sole. Wrap ankle with fringed tassel accented tie closure. Heel measures approx 4.5"" H. SCHU-WZ280. S2014801070004. Since launching in 1995, Brazil-based brand Schutz has become the go-to for sophisticated footwear with bold, eye-catching details that blend style with fun. 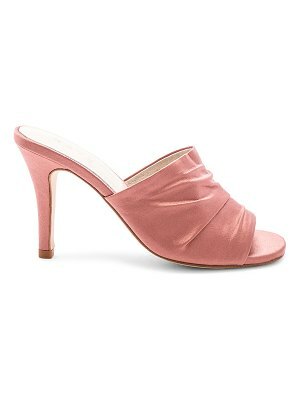 An ever-expanding range of styles and silhouettes ensures there?s a pair of Schutz shoes for any and every occasion."